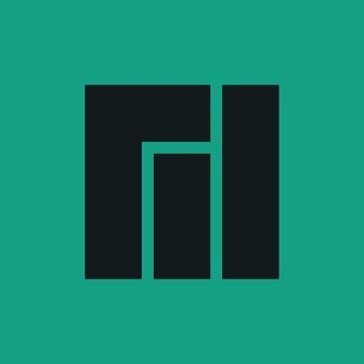 I am a fan of manjaro for several reasons. First, I love the AUR. This is more of a feature of Arch, but the user repository essentially contains every single possible application. This makes installing any app really trivial and helps me get a new system running really quickly. I also love that everything is up to date AND nothing breaks. Manjaro brings a Ubuntu style release system on top of the rolling system of Arch. While I've never had anything break when I was using Arch, it is always nice knowing that the new packages are tested to work well before they are pushed to me. While this defeats the purpose of arch, it makes the user experience a little better. For the record I use Manjaro Gnome. There isnt much I dislike. I am not a fan of the software the comes preinstalled with Manjaro Gnome, but its fine and pretty simple to re-theme myself and remove the bloat. The installer is O.K. at best, I personally prefer the ubuntu installer. You should understand how linux works really really well before you try Manjaro. Arch is a very complicated system and you need a deep understanding to fully be able to use it. I am using Manjaro to help my development. Since it is running Linux under the hood, it makes setting up developer tools really easy and all programming related software are optimized for linux. "Lightweight for speed but better for advanced users"
Installation can be smooth but when it is not, it's quite nerve wracking to troubleshoot. However, there is a active forum available for users that require support. I would probably dislike Manjaro more if I didn't have friends who are more advanced to help me out hence my title recommending that Manjaro is better for advanced users. I've been using Linux many years and tested different Linux distributions. Lately i've been enjoying Arch Linux based distributions, and Manjaro just makes that experience very pleasant and so easy to install. It have it's own repositories and do not use Arch Linux repositories. This means it's always behind but also that the software released is more safe! I like the ease of install and rational defaults the OS chooses for you. It's a breeze compared to installing Arch. It's a great way to get started with the Arch side of linux. Let me test pacman and rolling releases without the time involved with getting used to arch and doing everything from scratch. Manjaro was used for a web server. It did great for that purpose and I liked the UI that was the default on install. "One of the best pre-made Arch distributions"
We use a open source SO so we dont need to depend on external companies to solve problems with it. "Uno de los mejores software"
I like everything about Manjaro. It is excellent, very diverse and you can order the desk as you like. The hardware support is fantastic, all of my hardware just works without hassle and when installing on a new system I do not run into any issues whatsoever, just run the installation and I am good to go. I haven’t really found anything about this Linux district that I dislike. It seems to be everything I need in a Linux OS right out of the box. We needed an easy to deploy Linux system. "The best and getting better everyday." It's bit complicated to install it and get going for someone who don't know OS installation. Hope they will make it more simpler for noobs. For both business and personal use, Manjaro is great. Just get some help online or offline to get it properly installed. Updates are very fast. Pacman and Octopi are not as intuitive as Gnome. * We monitor all Manjaro reviews to prevent fraudulent reviews and keep review quality high. We do not post reviews by company employees or direct competitors. Validated reviews require the user to submit a screenshot of the product containing their user ID, in order to verify a user is an actual user of the product. Hi there! Are you looking to implement a solution like Manjaro?